Location, Location, Location!! 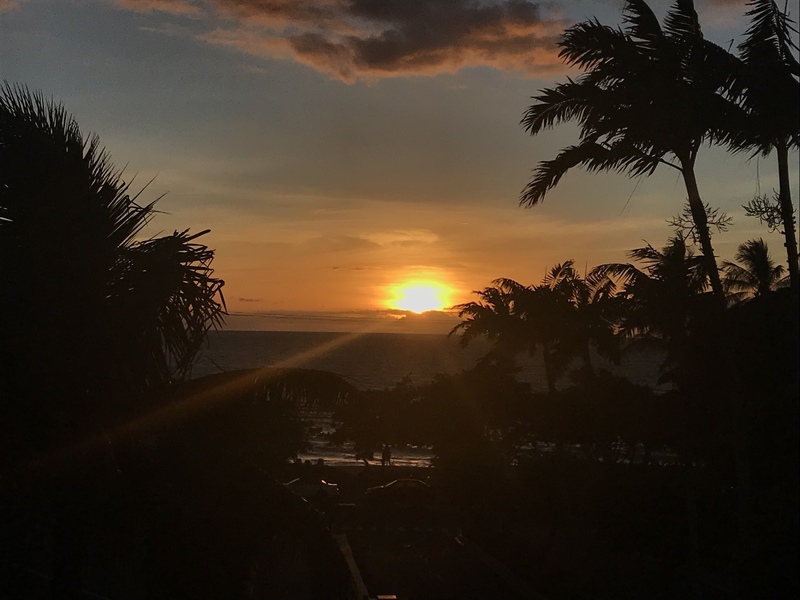 Beautifully remodeled two bedroom Ocean View condo at the Maui Banyan, located at the tip of building G and boasting beautiful Ocean Views. The remodel features a completely renovated Kitchen and two completely renovated bathrooms with gorgeous finishes. The Master bedroom is just off of the living room and features a king bed, access to the lanai and a full bath en-suite. The second bathroom features two queen beds, access to the lanai and a full bath en-suite. The kitchen is open to the living area creating an open concept space. The kitchen island is perfect for gathering after making meals in this top-of-the-line kitchen. Enjoy ocean views from your private lanai or take a short walk and dip your toes in the water at the Kamaole Beach 2. The Maui Banyan is conveniently located in the heart of South Kihei. It is directly across from Kamaole Beach II and is a short walk to the other two Kamaole Beaches. Less than a block away you will find popular dining and shopping options.